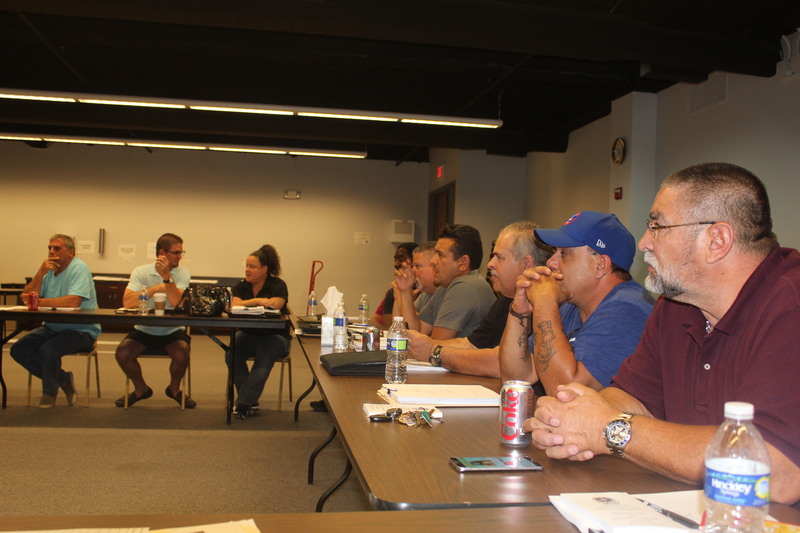 On Tuesday, Aug. 23, a group of nearly 25 city members, comprised of mostly stewards and a few rank-and-file representatives, gathered at the Teamsters Local 700 meeting hall to collaborate on ideas and strategies for the upcoming 2017 City of Chicago contract. Local 700 President Becky Strzechowski, Secretary-Treasurer Michael G. Melone and Senior Staff Attorney Cass Casper were present, along with all Local 700 city business agents and assistant business agents. Stuart Davidson, an attorney with more than 30 years of experience representing numerous labor organizations and union workers, including the Teamsters and the NFL Players Association, flew in from Philadelphia to join the meeting. Also in attendance was Jon Magna, a partner from Illinois Advocates, LLC, who will be working alongside Attorney Davidson throughout the negotiations process. Stewards, members and staff sat facing each other at a big square table and the meeting was led as an informal open discussion. 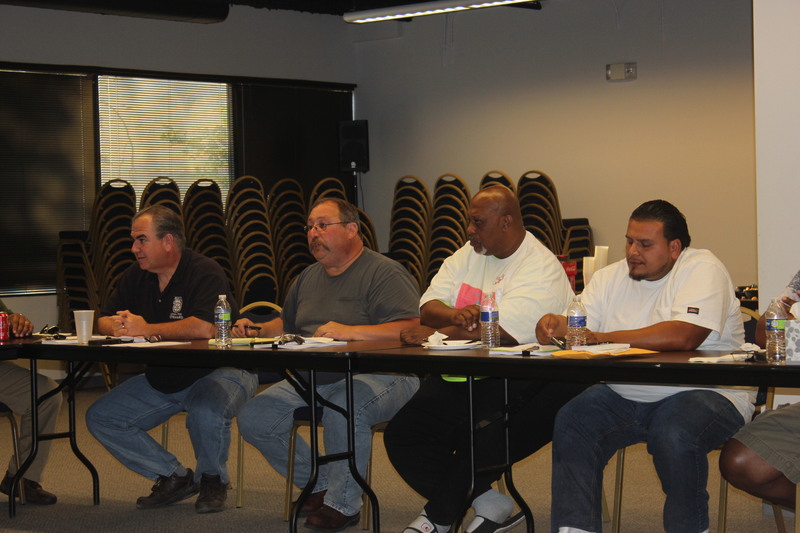 Both stewards and rank-and-file members spoke about issues specific to their units and had multiple conversations about contract provisions that affected all members across the city. Stewards and members came to the table ready to fight for their members and find solutions to the most pressing of issues. Before the meeting adjourned, everyone was given copies of a contract proposal form that will be available at all city locations and on the Local 700 website. If you would like to send in a proposal for the next contract, you can also send an e-mail directly to citycontract2017@teamsterslocal700.com. Please turn in proposals to your steward, business agent or to the union office by October 1st. Click here to download a proposal form. The same group will be invited to meet again in the near future. We will be sharing more information with the membership as proposals come into the union office and the leadership team begins crafting a plan for negotiations. All Content Copyright 2015 © Teamsters Local 700	Blog at WordPress.com.